Altiro Latin Fusion's new Roscoe Village location, opened this summer, continues to wow and impress, offering Chicagoans a local outpost of this popular west suburban hot spot. Since opening its first location in 2013 in suburban Geneva’s popular downtown dining district, Altiro quickly gained buzz and attention among savvy diners. Altiro now brings its innovative collection of Latin-fusion small plates and craft cocktails to the heart of Chicago's Roscoe Village. Designed to be shared, passed around the table, the menu offers a variety of Tapas, like Al Raviole — Basque jumbo shrimp atop house-made ravioli, with creamy Serrano pesto, Al Alambre — local farm skirt steak, chorizo, topped with melted chihuahua cheese, sauteed bell peppers and red onions, served with tomatillo-avocado salsa. 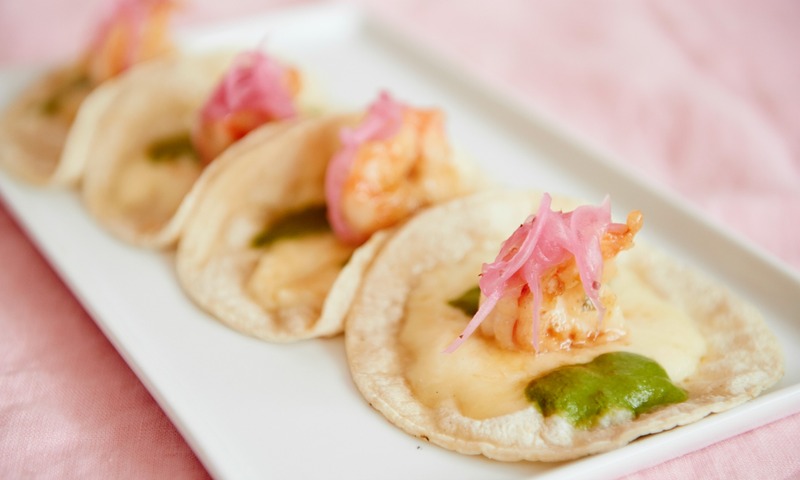 Altiro also features a line-up of Al Tacos: gourmet mini tacos, served four to an order, ideal to share. 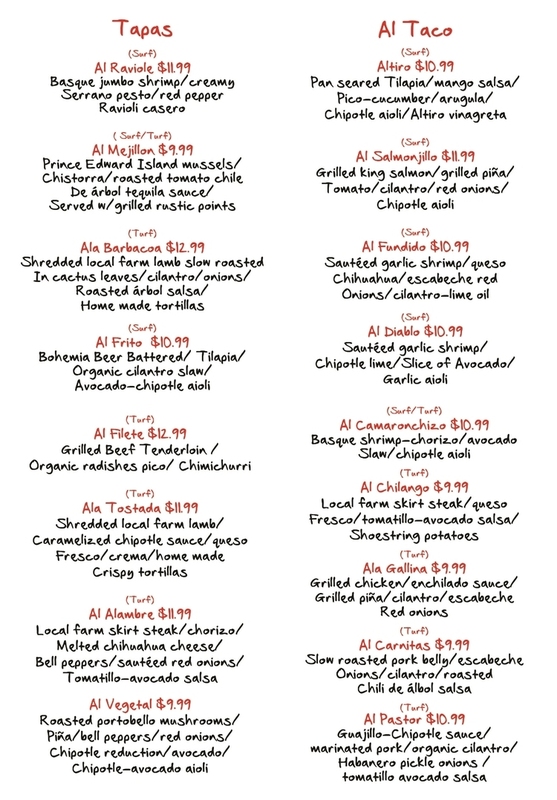 Choices range from from Al Carnitas —slow roasted pork belly, escabeche onions, cilantro, roasted Chile de arbol salsa, to Al Salmonjillo — grilled King salmon, grilled pineapple, tomatoes, chipotle aioli. 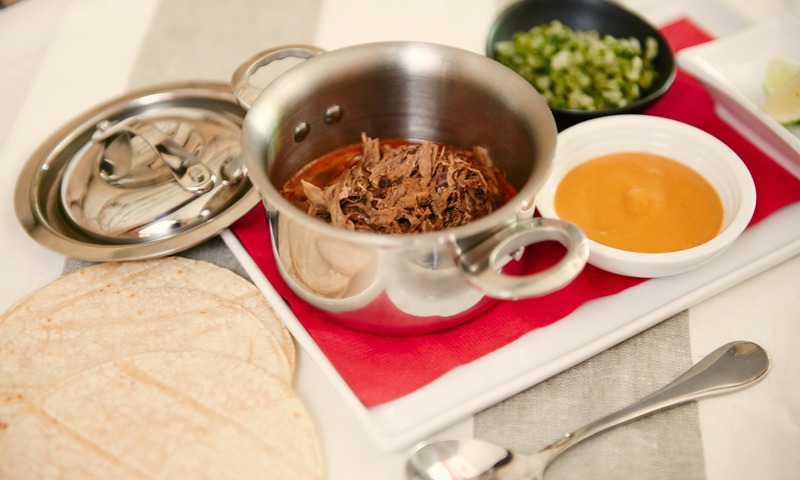 Altiro Latin Kitchen is located at 2116 West Roscoe Street, Chicago, and serves lunch, dinner and weekend brunch.